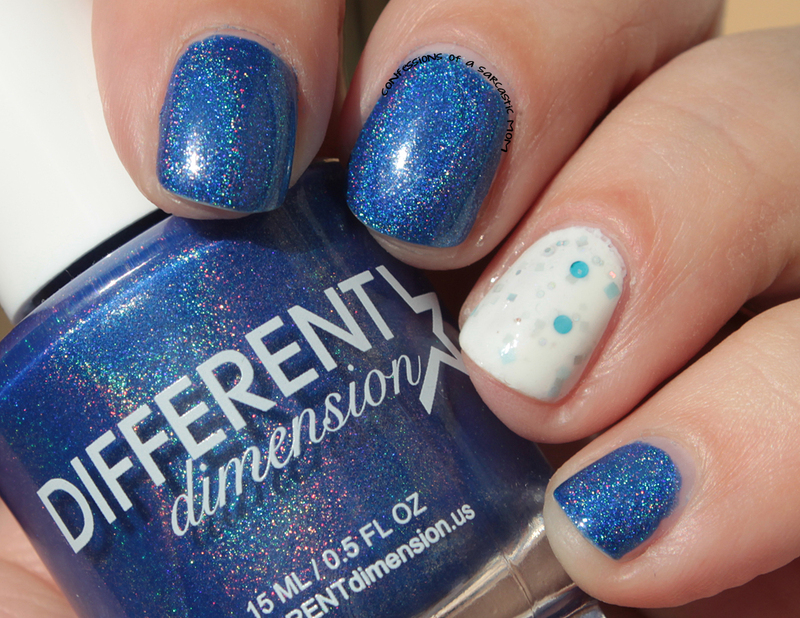 This post, featuring two Different Dimension polishes, starts my jump back into posting! I've got a beautiful Nails of the Day to show you - using two polishes I recently received in a secret Christmas swap. My swap buddy did good - sending me Heavenly Waters and Never Grow Up! 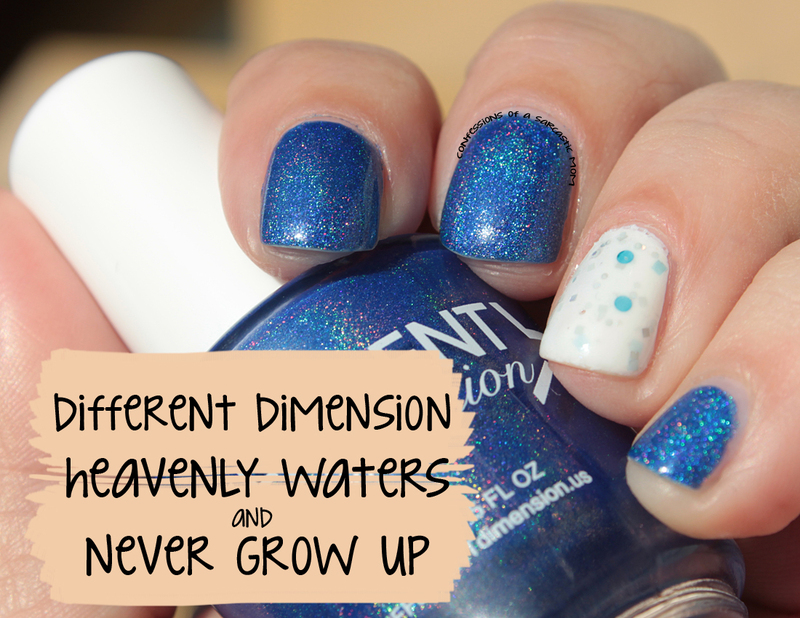 I used Never Grow Up as an accent, of course, and I used a white base for that nail. I used one coat of the polish over the white base. I wish I could have managed to get more of the blue glitters out of the milky white base, but with one coat, there wasn't much I could do. I wore this for 4 days before I decided to change my polish. No tipwear, no chips... I just needed a change! Do you have either of these polishes? 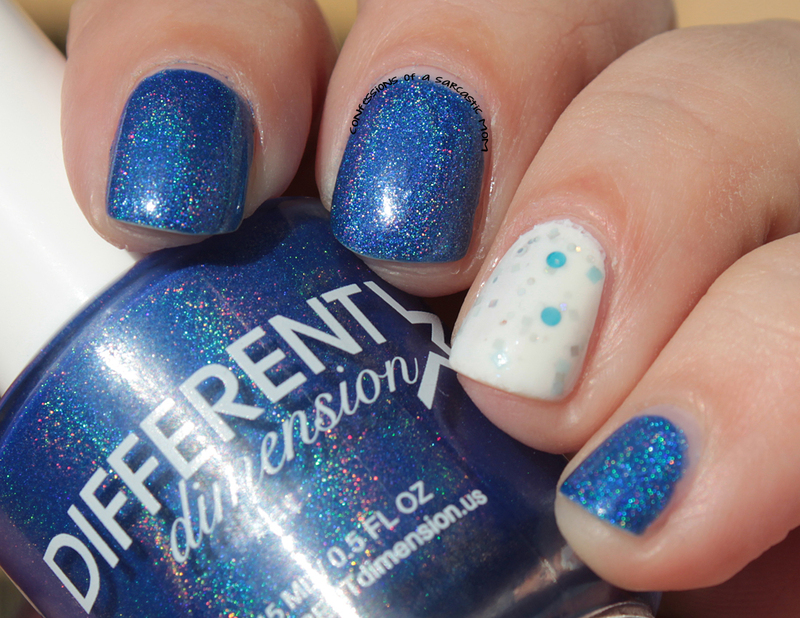 Or any Different Dimension polishes? 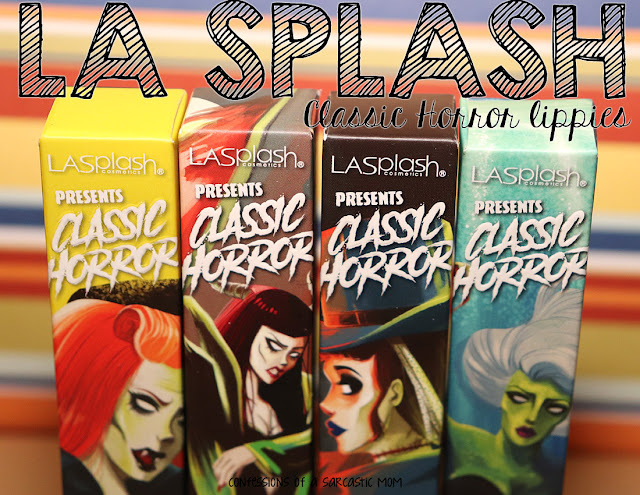 I have a few, and I really like this brand!